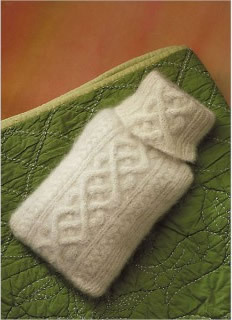 Hot-water bottle covers are the surprising home accessory du jour. Lightly felted, this cabled version makes for a creative get-well gift. It is worked in the round from the bottom up to the neck, which opens wide to make it easy to put the hot-water bottle inside.